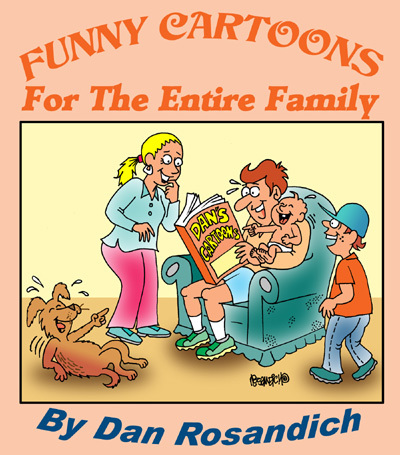 Cartoon gift items with many of my cartoons are available through my various online stores. You can find virtually any type of gift item in my various stores that includes mugs, t-shirts, hoodies, greeting cards, hats and caps, buttons, magnets, lunch boxes, clocks and much more. If you’d like a “custom cartoon” created for your own store, I can work with you if you have a designated budget. You also have the option of licensing any specific cartoon from any of my cartoon catalogs for your own store and a fee can be negotiated. Contact me directly at dan@danscartoons.com with any questions or for more information.